Elk Grove is a city in Sacramento County, California, located just south of the state capital of Sacramento. As of 2015, the population of the city was estimated at 167,965. The Elk Grove Unified School District is the fifth largest school district in California and one of the fastest growing school districts in the nation. Located in southern Sacramento County, the district covers 320 square miles, one-third of the county. For the 2002-03 school year, the district served more than 52,500 students, and expects to reach 66,000 students by 2015. Those students attend 38 elementary schools, 8 middle schools, 8 high schools and 4 alternative high schools. There are also several private schools in town. A local community college, Cosumnes River College, offers both vocational training and a transfer program to four-year universities. Located nearby are California State University, Sacramento and the University of California, Davis, as well as St. Mary's College. 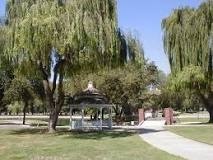 Elk Grove is also the home of the private six-year Universalist religious college Quest Seminary. In 2013, California Northstate University College of Pharmacy that offers a Doctor of Pharmacy degree program relocated to Elk Grove (near Interstate 5).